However, shock, grief and nostalgia greeted the deaths of several giants of pop music. 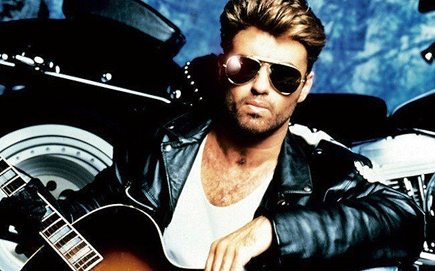 David Bowie, who broke musical boundaries through his musicianship and striking visuals; Prince, who was considered one of the most inventive and influential musicians of modern times; and George Michael, first a teenybopper heartthrob and then a mature solo artist with videos that played up his considerable appeal. Among the political figures who died in 2016 was the world’s longest reigning monarch: King Bhumibol Adulyadej, who was revered in Thailand as a demigod, a father figure and an anchor of stability through decades of upheaval. Others in the world of public affairs included former United National Secretary-General Boutros BoutrosGhali, U.S. Supreme Court Justice Antonin Scalia, ex-senator and astronaut John Glenn, former U.S. Attorney General Janet Reno, former Israeli leader Shimon Peres and former U.S. first lady Nancy Reagan. Artists and entertainers who died in 2016 included author Harper Lee, conductor Pierre Boulez, musicians Leonard Cohen, Merle Haggard, Maurice White, Frank Sinatra Jr. and Phife Dawg, and actors Gene Wilder, Abe Vigoda, Florence Henderson, Carrie Fisher, Debbie Reynolds, Alan Rickman, Robert Vaughn, Garry Shandling, Doris Roberts, Alan Thicke, Fyvush Finkel and Anton Yelchin. David Bowie, 69. 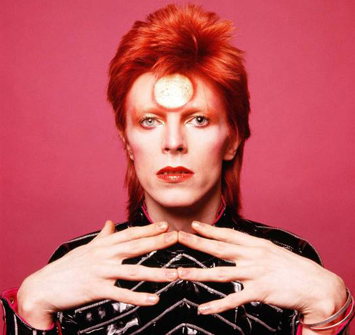 Otherworldly musician who broke pop and rock boundaries with his creative musicianship and a genre-spanning persona he christened Ziggy Stardust. Jan. 10. Abe Vigoda, 94. Actor whose leathery, sad-eyed face made him ideal for playing the over-the-hill detective Phil Fish in the 1970s TV series “Barney Miller” and the doomed Mafia soldier in “The Godfather.” Jan. 26. Boutros BoutrosGhali, 93. Egyptian diplomat who helped negotiate his country’s landmark peace deal with Israel but clashed with the United States as U.N. secretary-general. Feb. 16. Harper Lee, 89. Elusive novelist whose child’s-eye view of racial injustice in a small Southern town, “To Kill a Mockingbird,” became an Oscar-winning film. Feb. 19. Nancy Reagan, 94. Backstage adviser and fierce protector of Ronald Reagan in his journey from actor to president — and finally during his battle with Alzheimer’s disease. March 6. Dwayne “Pearl” Washington, 52. Basketball player who went from New York City playground wonder to Big East star at Syracuse. April 20. 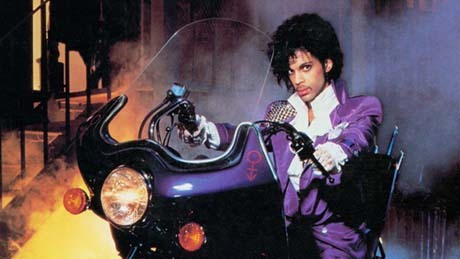 Prince, 57. One of the most inventive and influential musicians of modern times with hits including “Little Red Corvette,” ‘’Let’s Go Crazy“ and ”When Doves Cry.” April 21. Morley Safer, 84. Veteran “60 Minutes” correspondent who exposed a military atrocity in Vietnam that played an early role in changing Americans’ view of the war. May 19. Gordie Howe, 88. Known as “Mr. Hockey,” the Canadian farm boy whose blend of talent and toughness made him the NHL’s quintessential star. June 10. Pat Summitt, 64. Winningest coach in Division I college basketball history who lifted the women’s game from obscurity to national prominence during her 38-year career at Tennessee. June 28. Elie Wiesel, 87. Romanian-born Holocaust survivor whose classic “Night” launched his career as one of the world’s foremost witnesses and humanitarians. July 2. Rev. Tim LaHaye, 90. Coauthor of the “Left Behind” series, a literary juggernaut that brought end-times prophecy into mainstream bookstores. July 25. Gene Wilder, 83. Frizzy-haired actor who brought his deft comedic touch to such unforgettable roles as the neurotic accountant in “The Producers.” Aug. 28. Shimon Peres, 93. Former Israeli president and prime minister whose life story mirrored that of the Jewish state and who was celebrated as a Nobel prizewinning visionary who pushed his country toward peace. Sept. 28. Leonard Cohen, 82. Canadian singer-songwriter who blended spirituality and sexuality in songs like “Hallelujah,” ‘’Suzanne“ and ”Bird on a Wire.” Nov. 7. Gwen Ifill, 61. Co-anchor of PBS’ “NewsHour” and a veteran journalist who moderated two vice presidential debates. Nov. 14.